Preparation: If your meeting space has a balcony or choir loft, you may make use of it for this message. Do you know what a genealogy is? It’s a long list of names of people in a family. 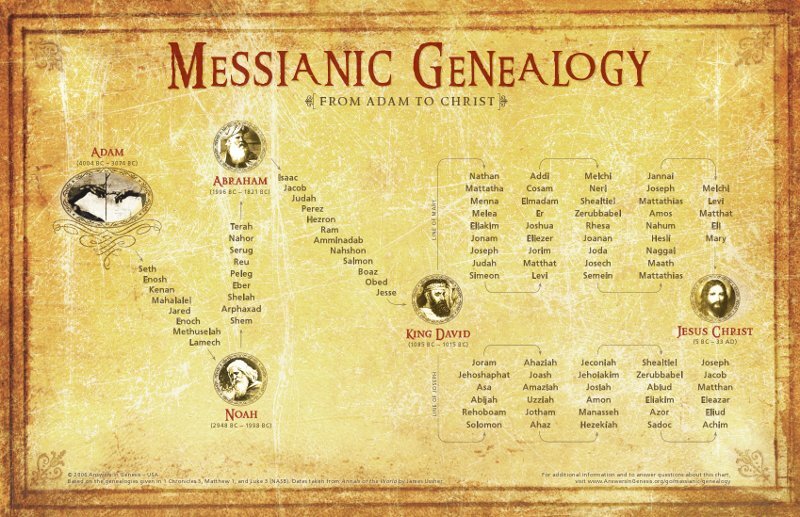 The very first verses of the Gospel of Matthew contain a long list of 42 generations. These would not be easy verses to memorize; lots and lots of names, but this list is important because it introduces us to Jesus. Now, with everyone lined up straight, and without stepping out of line, I’m wondering if the first person can see the last person in line? We are all stuck in the present time. We can see our moms and dads, our grandparents, and sometimes even our great-grandparents, but we can’t see much farther than that. We can’t jump back in time to meet our great-great-great grandparents, but they are really there in our genealogy. Can God see all of them? (Here you can have the person in the balcony be an example of how God can see all the generations at once. Ask the observer how many generations they can see.) God can see our whole family of faith, connected by birth and connected by our love for Jesus. Even though we can’t see the whole picture of God’s plan for our lives and for our family, God can see it. Matthew starts out his Gospel with a long list of names that begins with Abraham and ends with Jesus. These people are not all perfect people; far from it. God works through people that make mistakes. God works through people like us. Even though we are not perfect and we do not always say and do things out of love, the message of God’s love gets passed along. God is faithful from one generation to the next. God connects us and loves each one in our family. Prayer: Thank you, God, for being the strong connection of love that is passed down from one generation to the next. Help us to teach each other the important lessons of love. Amen.